We have launched our first Online Store where you can purchase our products with Free Shipping included and as a bonus for Memorial Day Weekend Sale, we are giving our customers 10% off their entire order. We are proud to offer Bulletproof backpacks as an official distributor of Guard Dog Security Products. 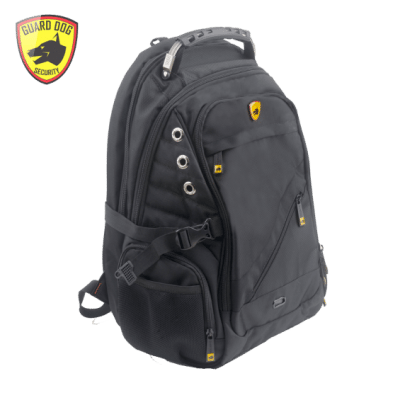 These backpacks are not only functional and durable but a select few models have a built in USB charger which is perfect for anyone who is always on the go and needs to stay connected to their mobile devices. The ProShield Smart provides over 20 pockets and compartments, including allowance for large laptops and tablets in a TSA-approved back opening, preventing the need to remove devices from the bag when traveling. Conveniently located on the adjustable strap is a hands-free smartphone holder that keeps your device on you at all times without falling at any angle, so that you can take care of the things that matter in life.